07/11/14 -- Soycomplex: Beans ended higher on the day, but lower for the week. "The theme of the soy market continues to be tight pipelines that are being exasperated by railroad logistical problems and the futures market has responded by resuming its upward trajectory to source new beans after the early week break in the board shut off producer selling," said Benson Quinn. The focus is now on Monday's upcoming WASDE report from the USDA. For beans the trade is expecting 2014 US production at 3.967 billion bushels versus the October estimate of 3.927 billion, with yields up to 47.6 bu/acre from 47.1 bu/acre previously. The very strong pace of early season exports and good domestic crush demand means that 2014/15 US ending stocks are seen declining from the 450 million bushels forecast a month ago to somewhere around 442 million, although the range of estimates is quite wide at 403-513 million. World ending stocks are seen little changed from last month's 90.67 MMT at 90.37 MMT. Both stocks numbers are described by Benson Quinn as "lofty" - they said that the price outlook for beans is "expected to return to lower trend once US soybean and meal pipeline situations have been resolved." After that we will get the latest Brazilian crop production estimates from CONAB on Tuesday. The Buenos Aires Grain Exchange said that rain is delaying soybean plantings in Argentina. These are now 7.2% complete, up only a little from 6% a week ago and 8 points behind the 5-year average. They left their planted area estimate unchanged at 21.6 million hectares. Nov 14 Soybeans closed at $10.40 1/4, up 9 1/4 cents; Jan 15 Soybeans closed at $10.36 3/4, up 8 3/4 cents; Dec 14 Soybean Meal closed at $390.40, down $1.30; Dec 14 Soybean Oil closed at 32.40, down 13 points. For the week, front month beans fell 6 1/4 cents, with meal up $1.40 and oil almost 240 points lower. Corn: The corn market ended around 3-4 cents lower on the day, and the best part of 10 cents easier for the week. Position squaring ahead of Monday's USDA report, combined with spillover pressure from weakness in wheat, was probably a feature today. Argentina announcing 8 MMT worth of new crop corn export licences was another negative. Monday's WASDE report is expected to show US 2014 corn production tweaked higher to a new record 14.551 billion bushels, up from 14.475 billion in October. Yields are forecast averaging 175.2 bu/acre versus 174.2 bu/acre a month ago. US 2014/15 corn ending stocks are seen at 2.135 billion bushels compared to 2.081 billion in October. World ending stocks are expected to be around 190.77 MMT, little changed from last month's 190.58 MMT. Rain in Argentina has virtually ground corn planting to a halt this week, said the Buenos Aires Grain Exchange in their weekly newsletter. Planting of the 2014/15 crop is now said to be 37.4% done, up only 1.6% versus a week ago, although not too far behind the 38.8% that was sown this time a year ago. These rains should at least promote good crop development though, they said. In the US, harvest progress "will be hit and miss over the weekend as the weather isn’t cooperating like it had for the last couple of weeks. Forecasts point to a stretch of cold temps," said Benson Quinn. The Russian corn harvest is 84.5% complete on 2.2 million hectares, producing a crop of 10 MMT to date, said their Ag Ministry. The Ukraine Ag Ministry estimated their corn harvest at 22.33 MMT so far, 83% done. The delayed start to soybean planting in Brazil's Mato Grosso could mean that the state's "safrinha" corn acreage could decline as much as 30%, according to the Mato Grosso Corn and Soybean Producers Association. The state accounted for around 35% if the national "safrinha" corn crop in 2013/14. German analysts FO Licht estimated the EU-28 corn crop at 74 MMT versus a previous forecast of 70.4 MMT and up almost 15% on production of 64.5 MMT last year. Dec 14 Corn closed at $3.67 1/2, down 3 3/4 cents; Mar 15 Corn closed at $3.80 1/2, down 3 1/2 cents. For the week Dec 14 was 9 1/4 cents lower. Wheat: The wheat market closed lower on the day, and for the week, across all three exchanges. "Global competition remains the key fundamental input offering the negative tone," said Benson Quinn. Yesterday's weekly export sales of only 265,800 MT highlighted how uncompetitive US wheat has become, and this was the second weekly total below 300,000 MT in the past 3 weeks. The Buenos Aires Grain Exchange said that heavy rains this week had disrupted the wheat harvest in Argentina. That's now seen at 8.9% complete, a week on week progress of 3.6 percentage points. They held steady with their crop production forecast at 11.5 MMT. The Argentine government issued 1.5 MMT worth of wheat export licences for the 2014/15 season. South Korea bought 28,800 MT of US milling wheat for March–April shipment. Iraq bought 200,000 MT of hard wheat from Canada and Australia for Dec-Feb shipment. Kazakhstan said that their 2014 grain harvest is 93% complete at 17.5 MMT. Russia's Ag Ministry said that their wheat harvest is 96.7% complete at 61.8 MMT. The Russian Central Bank said that it is "ready at any moment" to enter the financial markets to support an ailing rouble that fell to record lows against the US dollar and euro today. Russian grain prices rose by an average 3.5% in October, partly due to the decline of the domestic currency, prompting farmers to hold back on sales. It is thought that they won't be able to do this indefinitely however, with many having loans to repay by the end of the year. Russian winter grain plantings are complete on 16.4 million ha of the expected 16.5 million ha, according to the Ag Ministry. Rusagrotrans said that the probability that winter-planted crops will recover and gain strength is high, and that they currently only expect winter losses to be "moderate". The Russian Ag Ministry said that they will assess winter crop losses in January. Ukraine said that it had exported 12.7 MMT of grains Jul 1- Nov 7, including 6.8 MMT of wheat. Monday's USDA report is expected to show 2014/15 world wheat inventories at 192.15 MMT versus the 192.59 MMT estimated last month. Dec 14 CBOT Wheat closed at $5.14 1/2, down 5 3/4 cents; Dec 14 KCBT Wheat closed at $5.69 1/4, down 9 3/4 cents; Dec 14 MGEX Wheat closed at $5.46 1/4, down 7 3/4 cents. For the week, Chicago wheat was down 18 cents, with Kansas 24 1/2 cents lower and Minneapolis 28 cents weaker. 07/11/14 -- EU grains closed mixed, but mostly lower on the day. Everything was lower for the week, although the losses sustained varied in magnitude, with London wheat faring the best, and Paris wheat the worst - at least on the front month which goes off the board on Monday. At the close Nov 14 London wheat was down GBP0.50/tonne to GBP117.30/tonne, Nov 14 Paris wheat was EUR3.00/tonne lower at EUR162.75/tonne, Jan 15 Paris corn was up EUR0.75/tonne to EUR147.00/tonne, whilst Feb 15 Paris rapeseed fell EUR1.25/tonne to EUR334.50/tonne. For the week, Nov 14 London wheat was down GBP1.20/tonne, or 1%, with expiring Nov 14 Paris wheat shedding EUR9.50/tonne, or 5.5%. Jan 15 Paris corn fell EUR4.50/tonne compared to last Friday, or 3% lower, whilst Feb 15 rapeseed was down EUR9.75/tonne, or 2.8%. The Jan 15 Paris wheat contract was down a more modest EUR3.25/tonne, or 1.9% for the week, for your interest. European trade took the lead from US markets this week. For wheat in particular, US weekly export sales have disappointed of late, having been under 300 TMT for two of the last three weeks. Corn sales have also been poor at under 500 TMT for each of the last two weeks. Some would point to this week's EU soft wheat export licence total of 517 TMT, down 29% from the previous week and 30% below the prior 4-week average as a sign that our exports too might be slowing following the recent price rise. However the cumulative total is still 9% above this time last year, and as we all know Europe exported a record volume of wheat in 2013/14, a total that we are not expected to match in 2014/15. Certainly EU corn and barley exports are slow, with those for the former totalling only 958 TMT, a 37% decline versus a year ago, and those for the latter at 3.16 MMT representing a 29% fall compared to 2013/14. Russia still remains pretty much priced out of the market, with the rouble hitting all-time lows against the euro and US dollar this week, farmers there are opting to sit on their remaining unsold inventory. Their harvest is still ongoing, at 96.7% complete on 43.5 million hectares, producing a bunker weight grain crop of 108.6 MMT to date. Winter is now closing in, and bad weather is hampering the remains of the harvest, particularly in the Urals and Siberia. This is also the case in Kazakhstan. The USDA's FAS in the country yesterday cut his wheat production estimate this year by 0.9 MMT to 13.0 MMT, forecasting 2014/15 exports (including flour) to fall 1.5 MMT to 6.0 MMT. Things aren't said to be as bad in Ukraine, where the harvest has now reached 58.8 MMT off 94% of the anticipated area. That's better than the 54.8 MMT harvested this time a year ago, when production went on the be a record high. Corn accounts for 22.3 MMT of that this year's total, off 83% of plan. The Ukraine Ministry said that the country had exported 12.55 MMT of grains so far this season, including 6.8 MMT of wheat, 3.3 MMT of barley and 2.3 MMT of corn. The USDA's FAS office in Algeria forecast this year's wheat harvest at only 1.9 MMT versus 3.3 MMT a year ago following a prolonged drought. Consumption is seen rising 0.2 MMT to a little over 10 MMT, although imports are estimated to be unchanged at 7.5 MMT. FranceAgriMer didn't release their regular Friday crop conditions and planting progress report today due to "technical problems". Latest figures from the French Ministry showed the country's soft wheat exports to be down 6% in the first 3 months of the marketing year (Jul-Sep), with shipments to non-EU destinations down 27%, led by a particularly sharp fall in exports to Algeria, typically the leading home for French wheat, where sales are down by more than half. French intra-EU wheat exports in the period were up 24%, presumably including a large rise in feed wheat sales - they were certainly undercutting UK feed wheat into "traditional" homes like Ireland during this period. France also imported nearly 162,000 MT of wheat in Jul-Sep, more than double the volume purchased a year previously. Iraq bought 200,000 MT of hard wheat from Canada and Australian wheat for Dec-Feb shipment in their tender. Turkey are shopping for 60,000 MT of optional origin durum wheat for Dec-Jan shipment. 06/11/14 -- Soycomplex: Beans and meal closed higher, with the largest gains at the front end. Weekly export sales of over 1.6 MMT were up 28 percent from the previous week and 22 percent above the prior 4-week average. They also topped trade estimates for sales of 1.0-1.2 MMT. There was also some chatter during the session that USDA may lower US 2014 soybean acres in the November WASDE report on Monday, which seemed to coincide with the rally back towards Monday’s highs, said Benson Quinn Commodities. The FAO lowered slightly their world soybean production estimate "on downward revisions for Brazil and Argentina, reflecting, respectively, unfavourable weather and lower than anticipated plantings." They now see global output in 2014/15 at 308 MMT, down 1 MMT from last month and 3 MMT below the USDA's October forecast. Weather concerns in Brazil remain. "Drier conditions have settled into Brazil in November, resuming worries over soybean prospects. The tropical monsoon seemed to be strengthening in October, but rainfall in the past week has tapered off. The rainfall deficit in eastern Mato Grosso has increased to 166 mm in the 90 days up to November 3," said Martell Crop Projections. Shanghai JCI Intelligence Co. estimated China’s October bean imports at 4.3-4.5 MMT, rising to 5.81 MMT in November. Nov 14 Soybeans closed at $10.31, up 10 1/2 cents; Jan 15 Soybeans closed at $10.28, up 8 3/4 cents; Dec 14 Soybean Meal closed at $391.70, up $16.40; Dec 14 Soybean Oil closed at 32.53, down 19 points. Corn: The corn market closed marginally higher. Weekly export sales of 478,200 MT were a disappointment versus expectations of 600-800 TMT. "Weekly sales have reached 43.2% of the USDA estimate, which compares to a 5 year average of 48.2% for the current week," noted Benson Quinn. Still, "renewed strength in the soymeal and ultimately the soybean market offered much of the support seen in today’s trade...corn also got a boost from trading back above the 100 day moving average," they added. It may be that the USDA decide to pare back their expectations for US corn exports in 2014/15, starting next week. The FAO cut their forecast for the world 2014/15 corn crop by 3 MMT to 1015 MMT. That's still a hefty 16 MMT above where the USDA currently line up though. "Conditions in the northern hemisphere remain overall favourable. In the US and EU, harvest has begun and conditions are very good in the US and good in the EU," they said. "In Russia, the harvest is underway and advancing without delay. Yields are slightly down from last year. In Ukraine, harvest is progressing and conditions are favourable. In China, conditions remain mixed with concern across North China Plain and Northeast growing regions due to earlier dry conditions," they added. Russia's Ag Ministry said that their corn harvest was 83.8% done at 10 MMT. Monday's WASDE report from the USDA appears to hold the key as to where we go from here. Dec 14 Corn closed at $3.71 1/4, up 1 cent; Mar 15 Corn closed at $3.84, up 1 cent. Wheat: The wheat market stumbled lower, getting no help from modest weekly export sales of only 265,800 MT for delivery in the 2014/15 marketing year. These were down 40 percent from the previous week and 32 percent below the prior 4-week average. "In terms of meeting the USDA estimate, wheat sales remain on pace with the prior 5 year average for this week. However, this week’s sales were well below the 317,000 MT weekly total needed to meet the USDA estimate," noted Benson Quinn. The FAO raised their world 2014/15 wheat production estimate by 4 MMT citing larger harvests in the EU and Ukraine than forecast a month ago. "In Argentina, harvest has begun in the northern growing regions and conditions are good. In Brazil, conditions are mixed. In southern growing regions, above-average rainfall has caused a loss of grain quality. The crops are mostly in reproductive to harvest stages. In Australia, conditions remain mixed and overall yield prospects are reduced. Warm temperatures and below-normal precipitation exacerbated crop deterioration particularly in southern growing regions where soil moisture deficits persisted since August. In contrast, September rainfall across Western Australia benefited late planted crops. Harvest will begin early November and continue through December," they said. Japan bought 133,521 MT of wheat from the US and from Canada for Dec-Jan shipment. Dec 14 CBOT Wheat closed at $5.20 1/4, down 4 1/2 cents; Dec 14 KCBT Wheat closed at $5.79, down 5 1/2 cents; Dec 14 MGEX Wheat closed at $5.54, down 5 3/4 cents. 06/11/14 -- EU grains were mixed with wheat lower and corn and rapeseed mostly a little higher. At the close Nov 14 London wheat was down GBP1.00/tonne at GBP117.80/tonne, Nov 14 Paris wheat finished EUR2.00/tonne lower at EUR165.75/tonne, Jan 15 corn was EUR0.50/tonne higher at EUR146.25/tonne and Feb 15 rapeseed ended up EUR1.75/tonne to EUR335.75/tonne. Lanworth estimated the EU-28 2015 wheat crop at 149 MMT, a 3% fall compared to this year, although still the third highest on record. 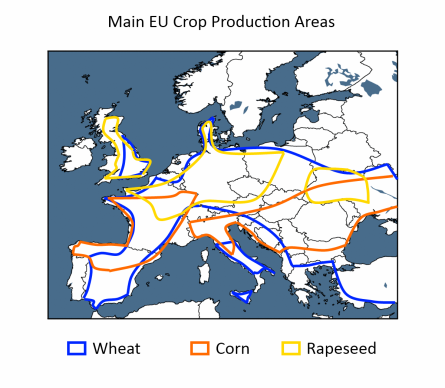 They also forecast a drop in the size of the EU-28 rapeseed crop next year, predicting production 2% lower at 22.3 MMT. Brussels said that they'd issued 517 TMT worth of soft wheat export licences this past week, down from the 729 TMT granted a week ago. Still, the cumulative season to date total is now 10.3 MMT versus the 9.4 MMT released this time a year go when exports went on to set a record. You will recall that the EU Commission sees final soft wheat exports down by almost 17% in 2014/15 versus last season. Russia said that it had harvested 108.3 MMT of grains so far off 96.3% of the intended area. That total includes 61.6 MMT of wheat, 21 MMT of barley and 10 MMT of corn. The corn harvest is 83.8% done so far. The Urals region is the notable laggard, with harvesting there only 82% complete. Russia’s Ag Ministry estimated the country's 2014/15 grain exports at 30.0 MMT versus 25.3 MMT in 2013/14. SovEcon estimated Russia’s 2015 grain crop at below 90.0 MMT, a decline of at least 17% on this year. The FAO's AMIS raised their world wheat production estimate for 2014/15 from 719 MMT to 723 MMT. "Production in 2014 (is) to exceed last month’s forecast on larger harvests in the EU and Ukraine," they said. 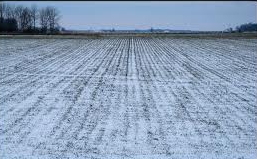 "In Russia and Ukraine, planting is complete and unusually cold weather in some regions has caused the crop to go into dormancy earlier than usual," they noted. 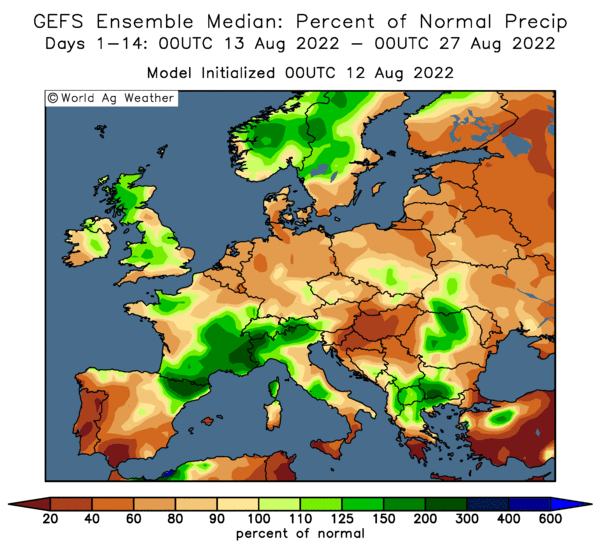 "EU, winter wheat planting has begun and conditions are favourable," they added. At home, a record near 642 TMT of wheat was milled in the UK in September, according to DEFRA. 05/11/14 -- Soycomplex: Beans closed around 10 cents higher. "The overnight drop in Jan futures below $10 also seemed to attract end user pricing with China said to have been an active buyer early in the session," said Benson Quinn Commodities. Planting in Brazil's leading producing state of Mato Grosso is now in full tilt, after a delayed start to the rainy season. Farmers there sowed 20% of the crop last week, taking total plantings to around 45% complete, although that's still well behind the norm of 75% done at this time. The concentrated planting period means that as much as 80% of the crop could all be ready to harvest in the same 15-20 day timeframe, giving farmers a further headache later in the season, says Dr Cordonnier. Parana is 47% done, which is in line with last year. Rio Grande do Sul is only just getting going at 2% planted versus 10% this time last year, he adds. Safras e Mercado said Brazilian farmers have sold 17% of their new crop beans versus 33% a year ago and 36% normally at this time. CNGOIC estimated China’s November soybean imports at 5.81 MMT versus 4.2 MMT in October. December imports are seen rising further to around 6.8 MMT. Trade estimates for tomorrow's weekly export sales report are around 1.0-1.2 MMT. Nov 14 Soybeans closed at $10.20 1/2, up 10 1/2 cents; Jan 15 Soybeans closed at $10.19 1/4, up 9 1/2 cents; Dec 14 Soybean Meal closed at $375.30, up $2.80; Dec 14 Soybean Oil closed at 32.72, down 35 points. Corn: The corn market closed around 5-6 cents higher. Weekly US ethanol production came in at 929,000 barrels/day, down from 937,000 barrels/day the previous week. The USDA attaché in Argentina estimated their 2014/15 corn crop at 22.0 MMT versus the official estimate of 23.0 MMT and the 2013/14 crop of 26.0 MMT. Ag Resource estimated the 2014 US corn yield at 176.0 bu/acre with production coming in at 14.627 billion bushels. The USDA were 174.2 bu/acre and 14.395 billion bushels last month. Informa has the world 2014/15 corn crop estimated at 984.3 MMT versus a previous estimate of 982.5 MMT and the 2013/14 crop of 990.4 MMT. Dr Cordonnier has the Brazilian 2014/15 corn crop estimated at 72.0 MMT versus a previous estimate of 73.0 MMT. He sees the Argentine corn crop at 21.0 MMT, unchanged from his previous estimate. 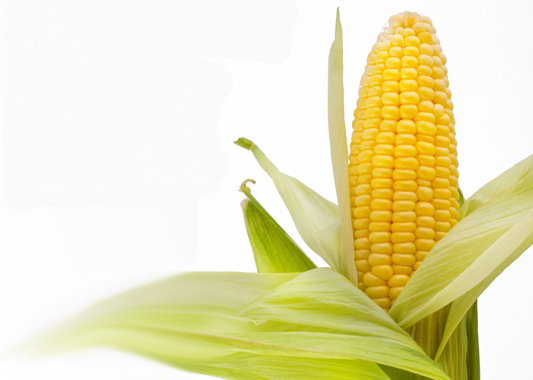 The Ukraine Ministry said that the country had exported more than 2 MMT of corn so far this season. Their exports are now starting to pick up as the 2014 harvest winds down. Trade estimates for tomorrow's weekly export sales report are around 600-800 TMT. Crude oil rebounded from 3 year lows. "The sharply higher trade in a crude oil market in need of a correction was partially tied to a Saudi pipeline explosion," said Benson Quinn. Dec 14 Corn closed at $3.70 1/4, up 5 3/4 cents; Mar 15 Corn closed at $3.83, up 5 3/4 cents. Wheat: The wheat market closed lower on improving conditions in the southern Plains and on ideas that US wheat prices are too high to compete with cheaper offers from elsewhere around the world. Egypt's GASC bought 180 TMT of French wheat, along with a 55 TMT cargo of Ukraine origin material. They've only booked one 55 TMT cargo of US wheat so far this season. The USDA attaché in Argentina estimated their 2014/15 wheat crop at 12.5 MMT versus the official estimate of 12.0 MMT and last year's crop of 10.5 MMT. Harvesting there is now underway. Pakistan imposed a 20% import duty on wheat. 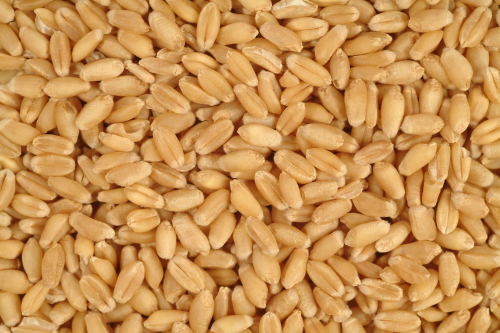 Jordan cancelled a tender for 100,000 MT of hard milling wheat for April–May shipment. Informa estimated the global 2014/15 wheat crop at 724.2 MMT versus a previous estimate of 726.2 MMT and the 2013/14 crop of 714.9 MMT. "US wheat futures remain under pressure as fundamental inputs are playing a bigger role and technicals continue to weaken," said Benson Quinn. Ukraine said that it had exported 6.7 MMT of wheat so far this season. Trade estimates for tomorrow's weekly export sales report for wheat are a relatively modest 325,000-525,000 MT. Sales last week were 444,900 MT. Dec 14 CBOT Wheat closed at $5.24 3/4, down 5 3/4 cents; Dec 14 KCBT Wheat closed at $5.84 1/2, down 5 3/4 cents; Dec 14 MGEX Wheat closed at $5.59 3/4, down 9 1/4 cents. 05/11/14 -- EU grains finished the day mostly lower, in a session that contained few fireworks. The day ended with Nov 14 London wheat ended up GBP0.20/tonne to GBP118.80/tonne, Nov 14 Paris wheat finished EUR1.25/tonne lower at EUR167.75/tonne, Nov 14 Paris corn was down EUR3.25/tonne at EUR136.75/tonne, whilst Nov 14 Paris rapeseed fell EUR2.00/tonne to EUR334.00/tonne. Egypt's GASC bought 235 TMT of wheat in it's second tender within a week. This time they booked three cargoes (180 TMT) of French wheat and one (55 TMT) of Ukraine origin. The average price paid was $258.34/tonne including freight. The Ukraine offer was marginally cheaper when freight was added on that the French wheat. The price paid was a bit lower than the $260/tonne FOB paid at the weekend. The cheapest Russian wheat offer was $255.50/tonne FOB, pricing them out by around $12/tonne when freight is added on. Egypt's state owned wheat buyer has now purchased 2.19 MMT of wheat on the international market so far this season. Jordan made no purchase in their 100 TMT hard milling wheat tender for April –May shipment. The Ukraine Ministry said that the country had exported 12.16 MMT of grains so far this season, including 6.7 MMT of wheat, 3.3 MMT of barley and more than 2 MMT of corn. The USDA attaché in Kazakhstan estimated their 2014 wheat crop at 13.0 MMT versus 13.9 MMT in 2013. Exports this season are forecast at 6.0 MMT versus 7.5 MMT a year ago. Russia’s Ag Min said that the country has exported 14.7 MMT of grain between July 1-October 29th. Rusagrotrans estimated Russia's November grain exports at 3.0-3.1 MMT versus 2.55 MMT a year ago. The pound fell to its lowest level against a resurgent US dollar in more than a year, which lent some support to London wheat. 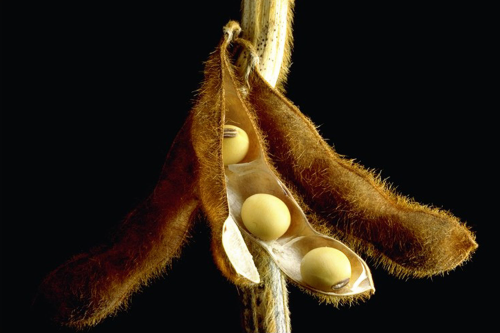 04/11/14 -- Soycomplex: Beans ended lower on harvest pressure and reports of a fresh outbreak of bird flu in China. Informa today estimated the US 2014 soybean crop at 3.991 billion bushels, with yields at 47.9 bu/acre. FCStone yesterday forecast US soybean yields at 48.4 bu/acre, with production at 4.033 billion bushels. The USDA were 47.1 bu/acre and 3.927 billion bushels in October. Informa also put the Brazilian 2014/15 soybean crop at 93.0 MMT, up 500,000 MT from their previous estimate. They now see the Argentine 2014/15 soybean crop at 56 MMT, also up 500,000 MT from previously. Weakness in crude oil was a negative influence too today, with Saudi Arabia slashing its contracted price for sales to the US. Around 400 workers at two Cargill owned soybean crushing plants in Rosario, Argentina, are said to be out on an "indefinite" strike, according to Reuters. CNGOIC estimated China’s 2014 canola imports at a record 5.0 MMT, up 64% from last year. The market looks set to be lining up a re-test of the $10/bushel support level. Nov 14 Soybeans closed at $10.10, down 18 3/4 cents; Jan 15 Soybeans closed at $10.09 3/4, down 20 cents; Dec 14 Soybean Meal closed at $372.50, down $0.20; Dec 14 Soybean Oil closed at 33.07, down 96 points. Corn: The corn market slumped on harvest pressure following last night's announcement from the USDA that US farmers had cut 19% of their 2014 corn crop in the past week. That's "one of the strongest levels of progress for any week in the past 20 years - equivalent to approaching 16m acres, an area 1.5 times as big as Switzerland," said Agrimoney. Informa estimated US corn yields this year at 174.4 bu/acre, with production at 14.493 billion bushels. FCStone were 178 bu/acre, with production at 14.783 billion bushels yesterday. The USDA were 174.2 bu/acre and 14.395 billion bushels last month. Indonesia bought 110,000 MT of Brazilian corn for Jan–Feb shipment in a tender. Israel cancelled a tender to buy 90,000 MT of optional origin corn for Jan-March shipment. The EU lowered import taxes for corn, sorghum, and rye to EUR4.49/tonne from EUR10.44/tonne. Informa estimated EU corn production this year at 72.5 MMT versus a previous estimate of 71.0 MMT. They have the Brazilian corn crop estimated at 69.7 MMT, down 900,000 MT from their previous estimate. Safras e Mercado said Brazilian corn planting is 54.4% complete versus 45.8% a week ago and 76.6% a year ago. Dec 14 Corn closed at $3.64 1/2, down 9 cents; Mar 15 Corn closed at $3.77 1/4, down 8 3/4 cents. Wheat: The wheat market closed around 7-8 cents lower across the three exchanges. "US wheat futures reversed yesterday’s late strength early in the overnight market as the inability to test yesterday’s highs triggered selling," said Benson Quinn Commodities. Informa now have the EU-28 2014/15 wheat crop estimated at 154.7 MMT, up 724,000 MT from their previous estimate. They cut their forecast for the Australia wheat crop to 22.0 MMT, down 1.9 MMT from their previous estimate. They also estimated US all wheat production at 2.035 billion bushels, and winter wheat production at 1.378 billion bushels. 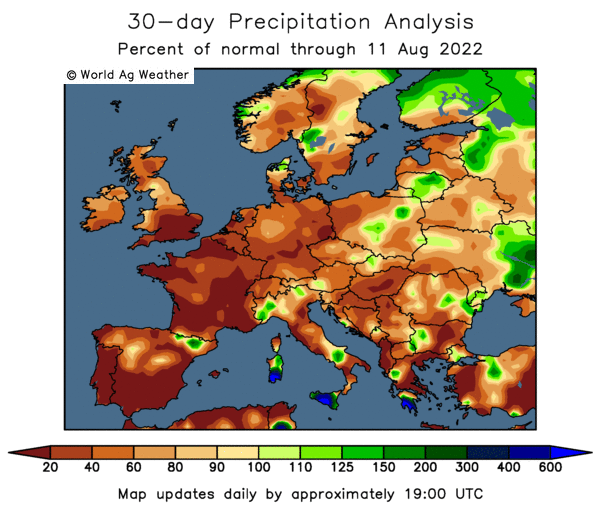 "Dryness building across parts of the Former Soviet Union is increasing stress upon the winter wheat crop. At the same time, prolonged colder than normal temperatures are pushing the crop into dormancy," said MDA CropCast. Having bought one cargo of French wheat over the weekend, Egypt announced another tender for wheat for Dec 11-20 shipment, with the results expected tomorrow. French wheat is likely to be the most competitive once again. "Short term and daily momentum studies are turning lower in all three markets. At best, once supportive weekly studies have flattened,it wouldn’t take much selling to turn the weekly studies lower. It appears the downside move is gaining momentum," said Benson Quinn. Dec 14 CBOT Wheat closed at $5.30 1/2, down 7 3/4 cents; Dec 14 KCBT Wheat closed at $5.90 1/4, down 7 1/4 cents; Dec 14 MGEX Wheat closed at $5.69, down 8 cents. 04/11/14 -- EU grains traded in the red for almost the entire session, under pressure from falling commodity prices in general. NYMEX crude slumped to a 3-year low below $77/barrel on news that Saudi Arabia was slashing its price on supplies to the US in an attempt to regain some demand from shale oil. Brent meanwhile fell the best part of 3% to around $82.50/barrel. At the close Nov 14 London wheat was down GBP0.40/tonne to GBP118.60/tonne, Nov 14 Paris wheat was EUR3.00/tonne lower at EUR169.00/tonne, Nov 14 Paris corn was down EUR1.75/tonne to EUR140.00/tonne, whilst Feb 15 Paris rapeseed fell EUR5.00/tonne to EUR336.00/tonne. Nov 14 fell the most of any of the Paris wheat contracts as the remaining longs exit their positions ahead of contract expiry next Monday. Open interest in that has fallen dramatically in the past couple of weeks, but is still the equivalent of over 300 TMT, so some erratic behaviour may still be seen between now and next week. The USDA surprised the market a little last night by reporting that US farmers had gathered 19% of their corn crop in a week. Harvesting has apparently only seen a larger percentage weekly advancement than that twice since 1995, according to Agrimoney. This is now putting US elevators and on farm storage capacity under pressure with 65% of this year's record corn harvest now done. The USDA are expected to further increase their production forecasts for both corn and soybeans next week. The pound was little changed against the euro today, hovering just below the 1.28 mark, with many analysts now predicting it to hit 1.30 in the coming weeks. All eyes are now on the ECB when they meet later in the week. They left rates on hold last month, but in September they unexpectedly cutting their refi (borrowing) rate from 0.15% to 0.05%, along with reducing the deposit rate from the previous minus 0.1% to a new minus 0.2%. The market isn't ruling out another surprise on Thursday, with the eurozone economy stagnating and unemployment running at 11.5%, almost double that of the UK. Strategie Grains raised their forecast for the EU-28 rapeseed crop again yesterday, up from 23.8 MMT to a new record 24 MMT, a near 5% increase on last year. They left their forecast for plantings for the 2015 crop unchanged at 6.5 million hectares, a 3% decline year-on-year. Ukraine said that they'd harvested 56.4 MMT of grains so far this year, off 92% of the planned area (excluding Crimea). The ongoing corn harvest is 77% done producing a crop of just shy of 20 MMT to date. Ukraine has also harvested 9.4 MMT of sunflower (off 98% of plan) and a record 3.5 MMT of soybeans (off 94% of plan). Ukraine winter grains have been planted on an area of 7.15 million hectares, or 96% of expectations. 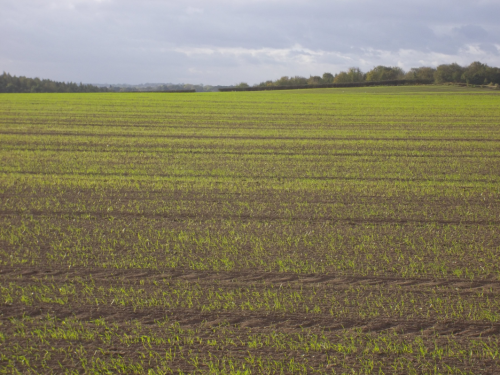 Winter wheat is 98% planted on 6.1 million ha, with winter barley sown on 885k ha, or 83% of the government forecast. Ukraine winter rapeseed planting is complete on 860k ha, a 9% drop compared to last year. 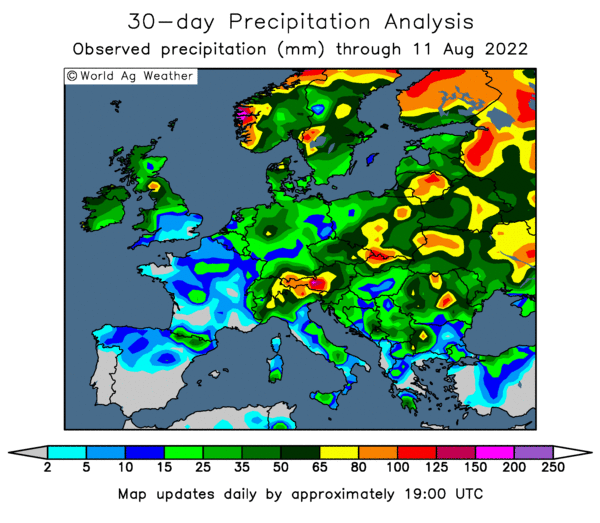 "Winter plantings have gone into good soil conditions, no one applies (much) fertiliser or chemicals in the autumn anyway, so lack of credit is unlikely to have had much impact at this stage," one contact in Ukraine tells me. Winter grain plantings are just about done in Russia, although things don't look quite so rosy over there. Kazakhstan meanwhile has completed the harvest on 13.6 million ha (90.5%) of it's 2014 cropped area, producing 16.9 MMT of grains to date. 03/11/14 -- Soycomplex: Beans closed sharply lower, giving up a good portion of Friday night's gains, despite weekly export inspections of a record 2.771 MMT. Export inspections are currently 17.4% up year on year versus USDA estimates for a 3% rise at the end of the season. Planting conditions in Brazil are finally improving. "Rainfall has increased in Mato Grosso improving conditions for soybean planting. The top soybean state Mato Grosso has received 90-120 millimeters of rainfall the past 10 days in the key Centre West area," said Martell Crop Projections. Safras e Mercado said on Friday that Brazilian bean planting is 22% complete versus 44% a year ago and 46% on average at this time. Mato Grosso is 35% complete versus 70% a year ago and 67% on average, they said. IMEA said as of October 31st Mato Grosso planting is 40.5% complete. Somar said that there was good rain coverage for Brazil’s main bean and corn areas over the weekend. The Brazilian Trade Ministry said that the country exported 740,800 MT of soybeans in October, around half the volume exported 12 months previously. The USDA said after the close that the US soybean harvest was 83% complete, up from 70% done a week ago and now in line with the 5-year average. FCStone forecast US soybean yields at 48.4 bu/acre, with production at 4.033 billion bushels. The USDA were 47.1 bu/acre and 3.927 billion bushels in October. Informa are due out tomorrow and the USDA next Monday. Nov 14 Soybeans closed at $10.28 3/4, down 17 3/4 cents; Jan 15 Soybeans closed at $10.29 3/4, down 19 1/2 cents; Dec 14 Soybean Meal closed at $372.70, down $16.30; Dec 14 Soybean Oil closed at 34.03, down 77 points. Corn: The corn market closed lower, not aided by low weekly export inspections of only 425,856 MT. The trade was expecting inspections of around 725-900 TMT. Two different Israeli groups are tendering for 145 TMT and 90 TMT of optional origin corn for Jan-March shipment. 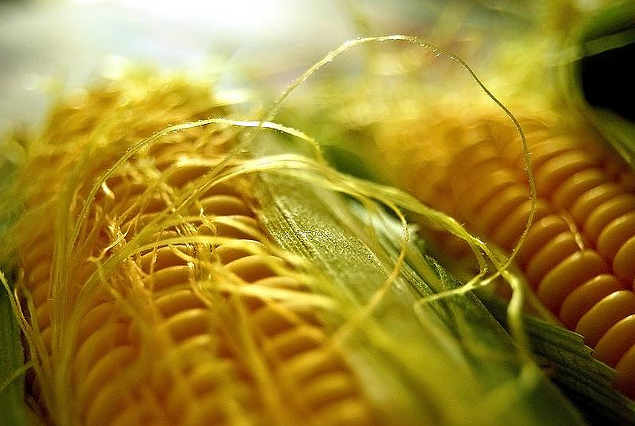 The Brazilian Trade Ministry said that the country exported 3,178,400 MT of corn in October versus 2,683,900 MT in September and 3,953,300 MT in October last year. The USDA said after the close that the 2014 US corn harvest had advanced 19 points since last week to 65% complete. FCStone estimated US 2014 corn yields at 178 bu/acre, with production at 14.783 billion bushels. Linn Group went for very similar numbers of 178.6 bu/acre and 14.842 billion bushels. The USDA were 174.2 bu/acre and 14.475 billion bushels in October. "Conditions in Argentina's southern farm belt have become sharply cooler, as temperatures in southern Buenos Aires fell into the mid 30's F the morning of November 1. This is a set-back for corn growth and development. Buenos Aires is Argentina's leading farm province growing the lion's share of corn. Not only are conditions cold but also fields are extremely wet from recurring strong showers. Rain has developed on a daily basis since October 24, building up a large soil moisture surplus. Conditions have been continuously wet the past 2-3 months," said Martell Crop Projections. The Ukraine corn harvest has now reached almost 20 MMT. Ukraine corn exports via seaports accounted for 53% of all shipments for the week through to Sunday night, up sharply from only 12% a week previously. "Corn markets have yet to break below the 100 day moving average. Trade below this level should trigger additional selling and may change the attitude of a fund community that has typically favoured the buy side," said Benson Quinn Commodities. Dec 14 Corn closed at $3.73 1/2, down 3 1/4 cents; Mar 15 Corn closed at $3.86, down 3 1/4 cents. Wheat: The wheat market did its best to ignore the negative influences of falling corn and soybeans and closed higher on all three exchanges. "It felt like beginning of the month buying offered support at points during the session and into the close," said Benson Quinn Commodities. Egypt's GASC bought 60,000 MT of French wheat for December shipment over the weekend. Russian wheat was comfortably out-priced as was Romanian origin. It's a little surprising that they only bought one cargo, which may suggest that they are well covered, or a lack of cash. 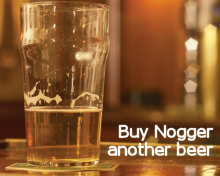 My money would be on the latter. An Israeli group are tendering for 25,000 Mt of optional origin feed wheat for Jan-Feb shipment. Macquarie estimated Russia’s 2014/15 wheat crop at 61.5 MMT, falling to 54.0 MMT in 2015/16. Weekly US wheat export inspections of only 208,706 MT were pretty miserable. The Kazakhstan Ag Ministry said that the country had harvested 90.5% of their 2014 grain crop. There's talk that at least some of the remaining 9.5% won't get harvested at all, at least not this year, with heavy snow and rain hindering Kazakh farmers' best efforts. The USDA said that US growers had now planted 90% of their winter wheat for the 2015 harvest, up 84% a week ago and one point ahead of the 5-year average. Emergence is at 77%, up 10 points versus last week and 5 points ahead of normal for this time. Crop conditions were unchanged on last week at 59% good to excellent, but down compared to 63% this time last year. Canadian wheat was said to be the lowest offer in an Iraqi tender which closed over the weekend for at least 50 TMT of hard wheat. Recent heavy rains in Argentina wheat areas could be disrupting the wheat harvest, and may also be causing come quality/yield issues. Dec 14 CBOT Wheat closed at $5.38 1/4, up 5 3/4 cents; Dec 14 KCBT Wheat closed at $5.97 1/2, up 3 3/4 cents; Dec 14 MGEX Wheat closed at $5.77, up 2 3/4 cents. 03/11/14 -- EU grains were mixed to start the week, with euro weakness adding a bit of support to Paris grains. At the close Nov 14 London wheat was up GBP0.50/tonne at GBP119.00/tonne, Nov 14 Paris wheat finished EUR0.25/tonne lower at EUR172.00/tonne, Nov 14 corn was EUR2.00/tonne easier at EUR141.75/tonne and Feb 15 rapeseed ended down EUR3.25/tonne to EUR341.00/tonne. Egypt's GASC bought one cargo (60,000 MT) of French wheat over the weekend at $260/tonne including freight. The winning FOB price was $244.44/tone, which was far cheaper than the lowest Russian offer of $257.95/tonne. They've now bought just under 2 MMT of wheat so far this marketing year, of which 600 TMT is French, 660 TMT Romanian and 585 TMT Russian origin. They've also bought one cargo each (55 TMT) of US and Ukraine material. The fact that they are now actively buying French wheat is supportive to that market, as too is the notion that the cheap offers out of Russia and Romania that we saw earlier in the season appear to be drying up. You may however have noted that Egypt are really only "chipping away" at the market in these recent tenders, booking only 1, 2 or maybe 3 cargoes at a time - no serious volume. They say that they expect their 2014/15 total foreign wheat purchases to total around 4.0-4.5 MMT this season, down from 5.46 MMT in 2013/14. Ukraine appear to be finding other markets for their wheat, given the inferior nature of their crop this year. They are also now starting to major on corn. Ukraine seaports shipped 616.5 TMT of grains last week, including 280.1 TMT of wheat and 327 TMT of corn. That's down a little from the 673 TMT shipped out a week ago, but still a respectable total. They shipped no barley at all last week, meaning that in percentage terms shipments of both wheat and corn increased week-on-week, with wheat up to 45% of the weekly total from 32% the previous week, and corn at 53% from 12%. Macquaire forecast a 10.5 MMT drop in Russian/Ukraine wheat production in 2015, with the former's crop falling 7.5 MMT to 54 MMT and the latter's down 3 MMT to 22 MMT. The Russian estimate is actually quite a bit higher than the "under 50 MMT" suggested by SovEcon last week, and also IKAR's "preliminary and pessimistic" 46.5 MMT, so whether that's bullish or bearish I will leave you to decide. The pound rose close to it's best levels against the euro since July 2012 following the release of much better than expected manufacturing data. There could be further sterling appreciation ahead this week, with both central banks meeting. Few expect anything different from the Bank of England, but the ECB has thrown in a few surprises in recent months as it seeks to stimulate growth in the eurozone. We shall see. French corn harvesting is probably around 70-75% done by now, although we won't have the official estimate Friday. Agritel report that yields are "excellent in most areas" and on target to produce a record crop of around 17.5 MMT, which would be half a million more than the USDA's October estimate. French corn prices are currently around EUR146-146 FOB ports on the west coast, the equivalent of around GBP112-114/tonne. Israeli buyers are tendering for 235 TMT of corn, 25 TMT of feed wheat and 20 TMT of sorghum, all of optional origin. Black Sea suppliers are likely to be the favourites to win that business.